The Flames will face Michigan State in the first round of the NCAA tournament at 6 p.m. Thursday in East Lansing after winning the Horizon League Championship Saturday night. The announcement of the first round matchup was greeted with applause and cries of support Monday by team members, coaches, supporters and UIC staff who had assembled in the Granderson Suite to watch the selection show. Head coach Sean Phillips thanked the crowd for its support. The teams have some history in the national tournament. They met on MSU’s pitch in a 2008 second-round game, which ended in a 0-0 draw. UIC advanced to the Sweet 16 with a 3-2 penalty kick shootout victory. The squads played regularly during the ’90s and have met six times in Phillips’ tenure at UIC. UIC claimed its third straight Horizon League championship Saturday night with a 3-1 win over Wright State. Josiah Ash put the Flames up 1-0 with a fifth-minute goal, and Pau Mateo scored his first goal later in the half. After Wright State halved the margin late in the match, Ash struck again to remove all doubt from the outcome. UIC moved to 12-5-2 on the season, eclipsing last season’s win total and notching the most victories since 2013. After a regular season draw at Wright State (13-3-3), the Flames used a complete team effort on both ends of the field to defeat the No. 1 seed on their home pitch. 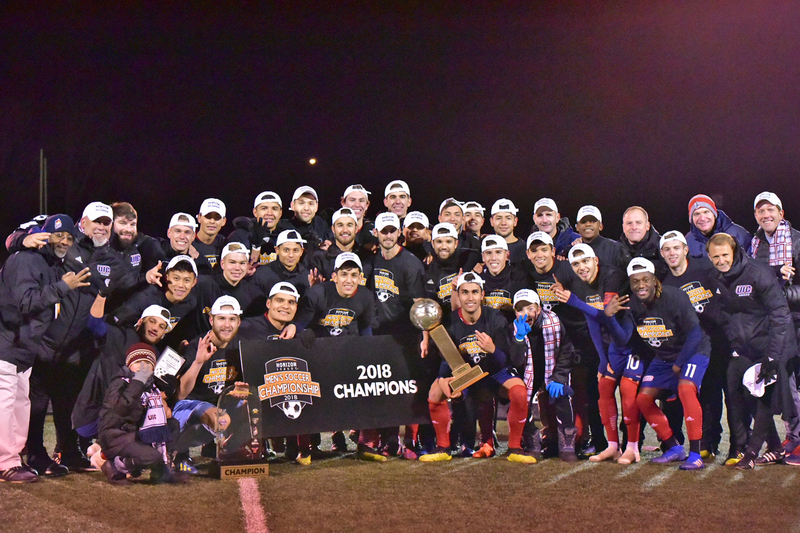 Jacob Graiber, who was on the defending end of countless through balls and attempted advances throughout UIC’s two tournament games, was named tournament MVP. He was joined on the All-Tournament Team by Ash, Nestor Garcia, and Oscar Gonzalez. The Flames achieved the first back-to-back-to-back championships in school history. They moved into sole possession of most Horizon League tournament titles, with their sixth (1999, 2000, 2007, 2016, 2017, 2018). Combined with the regular season title in 2015, the senior class will leave having won four trophies, which is also a UIC first. The team will make its eighth NCAA tournament appearance.